Collected for more than two decades, data using two star mapping satellites of the European Space Agency allowed astronomers to calculate the mass of a very young exoplanet for the first time. About this study reports the journal Nature Astronomy. The studied planet - Beta Painter b - is a gas giant, whose mass, according to scientists, is 9 to 13 times larger than the mass of Jupiter. Discovered in 2008, the exoplanet turns around the Beta Pictoris star, which is located approximately 63 light-years from the Earth in the constellation of the Painter and is the second brightest in this constellation. Since the very star of this constellation is very young (from 8 to 20 million years old), the planet in the system is an excellent target for studying the formation and development of exoplanets. However, this task was complicated by the fact that the process of the formation of the star is not yet complete - it is still very actively pulsating, which creates a problem for measuring its radial velocity (the speed with which the star moves towards us and from us, like the orbit of its planet). This method is often used to measure the mass of exoplanets. To measure the mass of the Beta Pictoris b, scientists did not use the method of measuring the radial velocity, but instead made calculations based on the evolution of the star's motion in the night sky over a long period of time. That's why the process took more than 20 years, reports the website of the European Space Agency. "The stars move for different reasons. First, they, like the Sun, revolve around the center of the Milky Way. From the Earth it looks like a linear movement projected onto the sky. We call it our own movement. In addition, there is a parallax effect, which is caused by the rotation of the Earth around the luminary. Thanks to him for a year we see one star at different angles, "comments Ignas Snellen from the University of Leiden. Researchers have calculated the path of the Beta Pictoris star through the sky, as well as small fluctuations in the trajectory of a star moving in the celestial sphere - the minimum deviations from the expected course, caused by the gravitational influence of a nearby planet. "We looked for deviations from the expected course, thanks to this we were able to calculate the mass of the planet. The more massive the planet, the more significant the deviations from the expected forecasts we observe, "- says co-author of the study Anthony Brown from the same Leiden University. However, to register the deviations and calculate on the basis of this information the mass of the planet scientists need to observe the object for a long time. The combination of data from the Hipparcos space telescope, which was observed by Beth Painistis 111 times between 1990 and 1993, and data from 32 observations of the star using the Gaia telescope in 2014-2016 helped to solve this problem. "By combining the observations with Hipparco and Gaia, we got a difference in its movement at about 25 years. Alone, the same Hipparcos could not cope with the task. 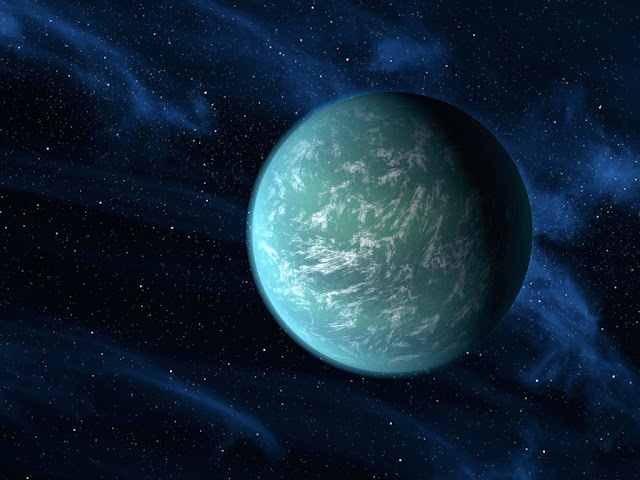 To see the exoplanet, we would have to watch the star much longer, "Brown notes. Analysis of the data showed that the mass of the Beta Pictoris planet b is 13 times larger than the mass of Jupiter. Its period of rotation around its axis is estimated to be 22.2 years.